All of these models come with GM’s “EcoTec3” 355-horsepower 5.3-liter V8 except for the top-line GMC Denali, which sports a 420-horsepower 6.2-liter version. 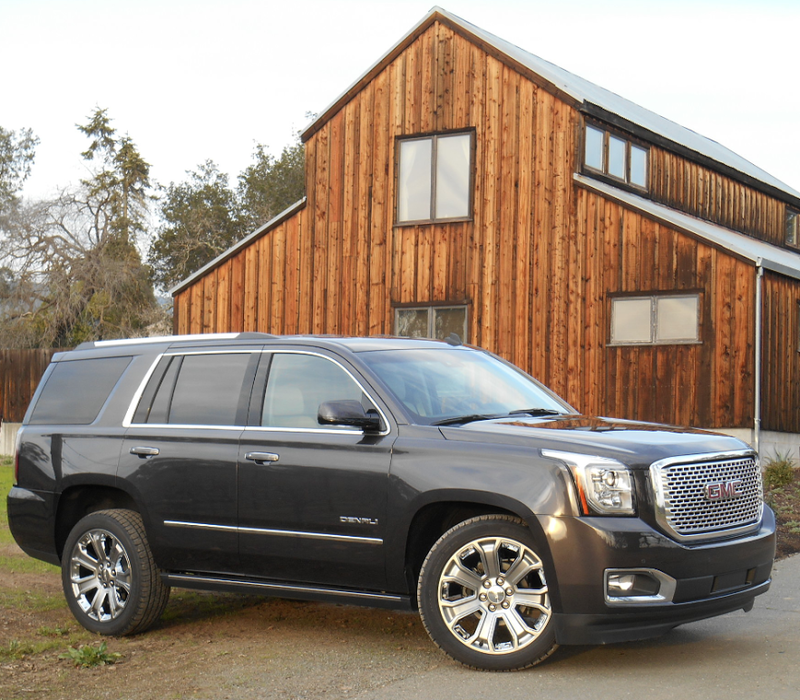 As expected, the Denali feels stronger than the others, but acceleration – at least with just two people aboard – is more than adequate in all. The only fly in the ointment is that the 6-speed automatic transmission (which is standard on all models) occasionally exhibits some delay before downshifting when the throttle is stabbed while underway. However, there was one oddity we noticed that was most evident in the more powerful Denali. During several full-throttle takeoffs run in close succession, half the time the big SUV would bolt off the line with a chirp from the rear tires, the other half it would move off with less enthusiasm for the first 20 feet or so before it gathered itself and took off. This is sometimes attributable to the traction control cutting back on power when tire slip is detected, but that doesn’t account for the variation. 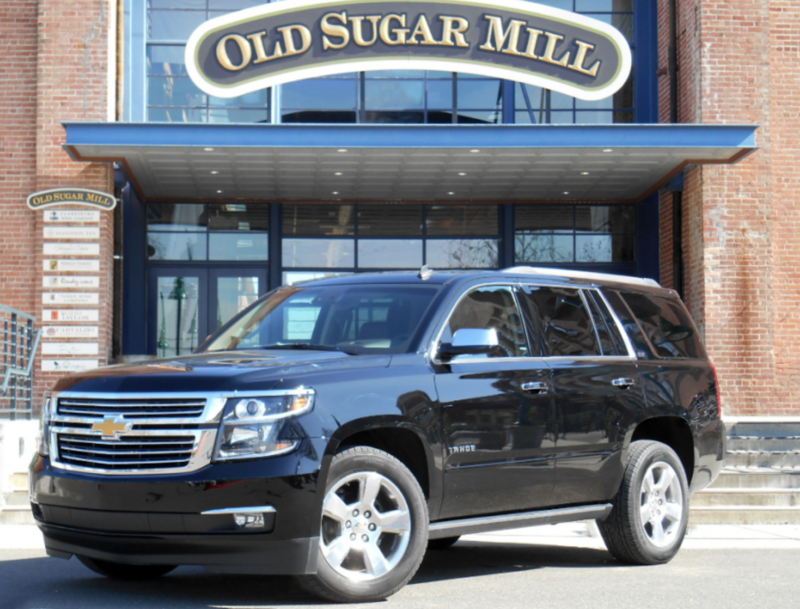 Unfortunately, the only two examples of the new SUVs we had a chance to drive were a top-line Chevrolet Tahoe LTZ and an extended-length GMC Denali. Both come standard with GM’s Magnetic Ride Control adjustable suspension, which replaces the “regular” suspension used on other models. They also come with 20-inch wheels vs. the 18s standard elsewhere. In both the LTZ and Denali, the ride was very jittery even on roads that appeared smooth, though the suspension did a good job of absorbing larger bumps, controlling bounce over pavement swells, and limiting body lean in fast turns. Other drivers we spoke to noticed the same thing, and a couple who had a chance to drive “lesser” models had no such complaints. The nervous ride was surprising, because we’ve driven other GM vehicles with Magnetic Ride Control and never had the same impression. It’s possible this could be corrected with computer reprogramming, but it was enough to make us encourage people to “Try before you buy.” But in other ways, these big SUVs – while hardly nimble – don’t feel as ponderous as their generous size would suggest. They’re also very quiet inside, with little in the way of road, wind, and bump noise filtering through to the cabin. GMC’s top-line Yukon Denali comes with an exclusive 6.2-liter V8 in place of the 5.3-liter V8 found in other Tahoes and Yukons. From the driver’s seat, audio and climate controls are within easy reach. The former consist of tuning and volume knobs with station selection being controlled through the touch screen. As in most such arrangements, this can make some simple procedures a multi-step affair, but we generally found the system to be fairly easy to use and logical in operation. Climate controls consist of rotary knobs for temperature and fan speed, with individual push buttons for air distribution. We prefer a rotary knob for air distribution, but this “separate button” arrangement is far better than the repetitive-step single button used in some systems. All models have a column-mounted gear lever, which compared to a console-mounted one frees up a lot of handy storage space. And storage space is a strength in these vehicles. In addition to the rather low-mounted and hard-to-reach glovebox, there’s a huge console box with Aux, 12-volt, and two USB outlets along with an SD-card slot. For smaller stuff, there’s a forward console bin (with more 12-volt and USB jacks) and two cupholders (all covered), side console bins, and large map pockets. Also – and this is really neat – the dashboard screen flips up to reveal a roomy “hidden compartment” behind it. 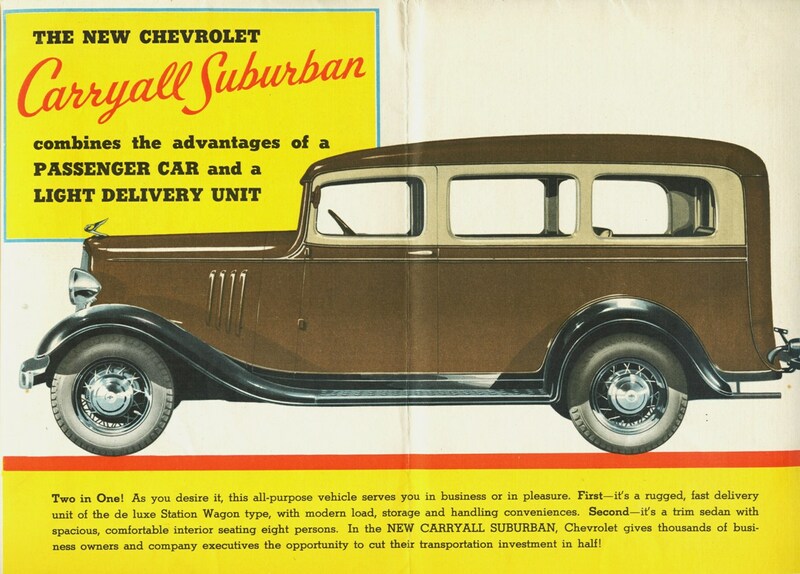 The Suburban name first saw duty for Chevrolet in 1935. Our test Tahoe LTZ was fitted with a particularly ritzy-looking two-tone (brown/dark brown) interior accented with satin-finished silver trim and swatches of wood. The Denali had a more subdued dark interior with similar accents, but in both cases, there were lots of padded surfaces including the dash top, dash face, and door tops. Add that – along with copious amounts of 1st– and 2nd-row space – to all the high-tech and luxury features available (including such amenities as heated/ventilated front seats and heated rear seats), and these big SUVs can compete head-to-head with premium sedans when it comes to luxurious accommodations. Less impressive is visibility. The front and rear roof pillars are fairly thick, but they aren’t nearly as bad as the two sets of side pillars, which create huge blind spots over your shoulders. The newly standard rearview camera helps when backing, but we found ourselves wishing for larger outside mirrors to aid in lane-changes. With many midsize crossovers combining sizable space and 3-row seating with less bulk and better V6 economy, it would seem as though the market – and argument – for these traditional full-size SUVs would be on the decline. But with their recent updates, GM’s big boxes combine the room and comfort of a luxury car with unmatched cargo space and towing capacity, making them a thoroughly justifiable entity in our broad automotive landscape. Written by: Rick Cotta on March 25, 2014.on March 22, 2019.